In between all of the DeflateGate talk and fantasy football drafts, it’s easy to forget that Madden Season is once again upon us. This year’s NFL video game was released today, and after a just a couple games it is easy to tell things have changed for the better. 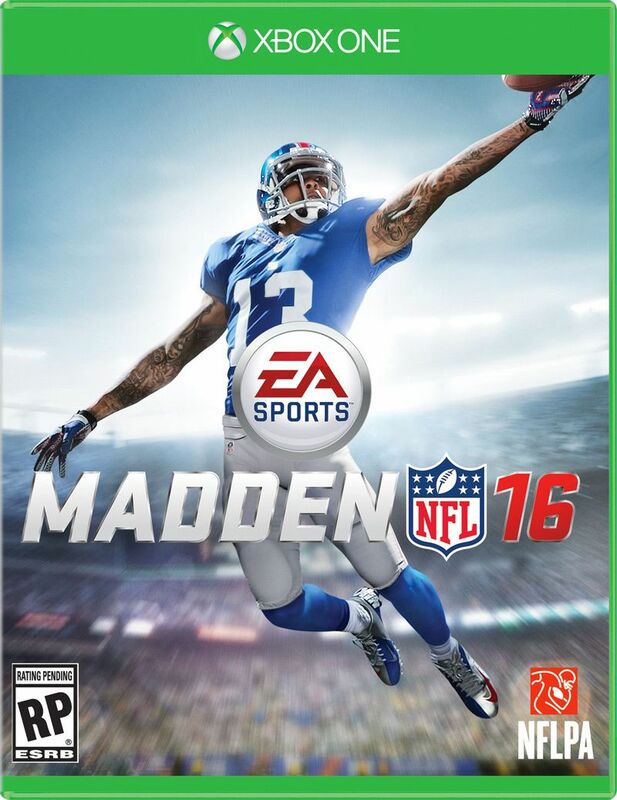 Let me preface this review by saying this is the first Madden game I have ever played on a next gen console. I have played Madden for many years on my Xbox 360, and this is the first year I bought it for the Xbox One. So I guess take what I am about to say with a grain of salt, considering I am not sure what has improved simply due to the console upgrade. Madden 16, like many games in past years, has improved how the game looks visually. More importantly I noticed a significant improvement to how the game plays. To the gameplay is different from past years is an understatement. Passing, catching and coverage has all been improved. There are now buttons corresponding to five different kinds of passes (lob, bullet, touch, high and low), three different kinds of catches for receivers (possession, aggressive and run after the catch) and two different ways to play a pass in the air as a defender (play ball or play receiver). While this may seem confusing and too extravagant, going through the skills trainer introduces each new feature and solves the potential “too confusing” problem. Gamers are immediately wowed once the game begins. This year’s cover athlete, Odell Beckham, Jr., comes to life and shows off some of the games brand new catch animations before ever playing your first game. Not only are the new types of catches really cool, but the way OBJ’s characters looks is unbelievable. The game then jumps you into Super Bowl 50, which is set to take place early in 2016. The game features the Pittsburgh Steelers versus the Arizona Cardinals – which I agree is a bold Super Bowl prediction. Throughout this short Madden story you hear the players talking to one another in their actual voices, and are thrown into certain plays to continue the story. This was a nice touch to get people right into the game under guided circumstances, compared to just throwing people into a game and letting them figure stuff out for themselves. After selecting your favorite team, you are guided to the skills trainer by Ben Roethlisberger and are allowed to try out some of the new catches and passes I mentioned above. As I said earlier, this is where I really began to understand and appreciate the new details added to the gameplay. I have only played two games so far (both quick games with the Philadelphia Eagles), but I have noticed a few things that stand out. The coin toss is gone. It still happens, but you no longer select heads or tails. Instead you select your preferences if you were to win the coin toss (kick or receive), as well as what you would chose if you lose the coin toss (with or against the wind). I felt like something was missing at first, but I guess getting rid of the coin toss is not a huge loss. I feel like the only time viewers of a real football game see the coin toss on television is before the Super Bowl, so I wonder if that if Madden included the coin toss in certain circumstances. Again, I am not sure if this next one if new to me just because I am playing on Xbox One for the first time, but I really liked how Madden finally included a bigger playbook when running the hurry up offense. NCAA Football games had a version of this a couple years ago, and with this type of up-tempo offense becoming a larger and larger part of the NFL I am glad to see it has made it way into the video game. I cannot wait to continue playing and getting into the different game modes. Ultimate Team is always one of my favorites, as is Franchise Mode. The new game mode in this year’s game, Draft Champions, will be something I will definitely check out. I mean, c’mon, who doesn’t love to draft? As you play more, feel free to leave your feedback to Madden 16 below, or reach out on Twitter @JosephZocco. This entry was posted in Home and tagged Dave Franco, EA Sports, Kevin Hart, Madden 16, madden 16 reviews, Madden gameplay, Madden Review, Madden Season, New Madden, Odell Beckham Jr. Bookmark the permalink.